The site owner can be contacted at the email address on this site’s contact page. The following provisions may be curtailed or disallowed by the laws of certain jurisdictions. In such case, the terms hereof are to be read as excluding or limiting such term so as to satisfy such law. 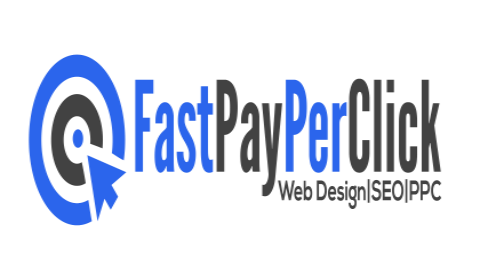 Fast Pay Per Click does not represent or warrant that the information accessible via this website is accurate, complete or current. We have no liability whatsoever in respect of any use which you make of such information. All warranties, express or implied, statutory or otherwise are hereby excluded. Neither we nor any of our employees or affiliated entities will be liable for any kind of damages and howsoever arising including, without limitation, loss of profits, compensatory, consequential, direct, exemplary, incidental, indirect, punitive or special, damages or any liability which you may have to a third party, even if we have been advised of the possibility of such loss. We are not responsible for the direct or indirect consequences of you linking to any other website from this website. Our website and services provided to you on and through our web site on an “AS IS” basis. You agree that the owners of this web site exclusively reserve the right and may, at any time and without notice and any liability to you, modify or discontinue this web site and its services or delete the data you provide, whether temporarily or permanently. Fast Pay Per Click shall have no responsibility or liability for the timeliness, deletion, failure to store, inaccuracy, or improper delivery of any data or information. You agree that our website may expose you to Content that may be objectionable or offensive. We shall not be responsible to you in any way for the Content that appears on this web site nor for any error or omission. Disclaimer of warranties. You understand and agree that your use of this website and any services or content provided (the “service”) is made available and provided to you at your own risk. It is provided to you “as is” and we expressly disclaim all warranties of any kind, implied or express, including but not limited to the warranties of merchantability, fitness for a particular purpose, and non-infringement. We make no warranty, implied or express, that any part of the service will be uninterrupted, error-free, virus-free, timely, secure, accurate, reliable, of any quality, nor that any content is safe in any manner for download. You understand and agree that neither us nor any participant in the service provides professional advice of any kind and that use of such advice or any other information is solely at your own risk and without our liability of any kind. Some jurisdictions may not allow disclaimers of implied warranties and the above disclaimer may not apply to you only as it relates to implied warranties. By continuing to browse or otherwise accessing the web site, you signal acceptance of the terms and disclaimer set out above.